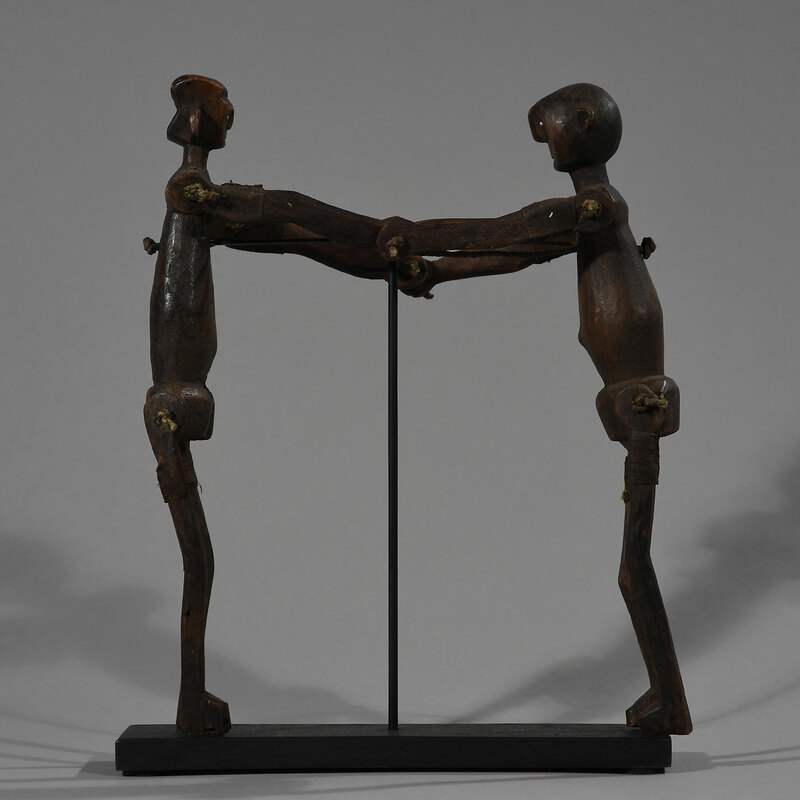 These fine and rare figures with movable arms and legs are from the Nyamwezi people of Tanzania. 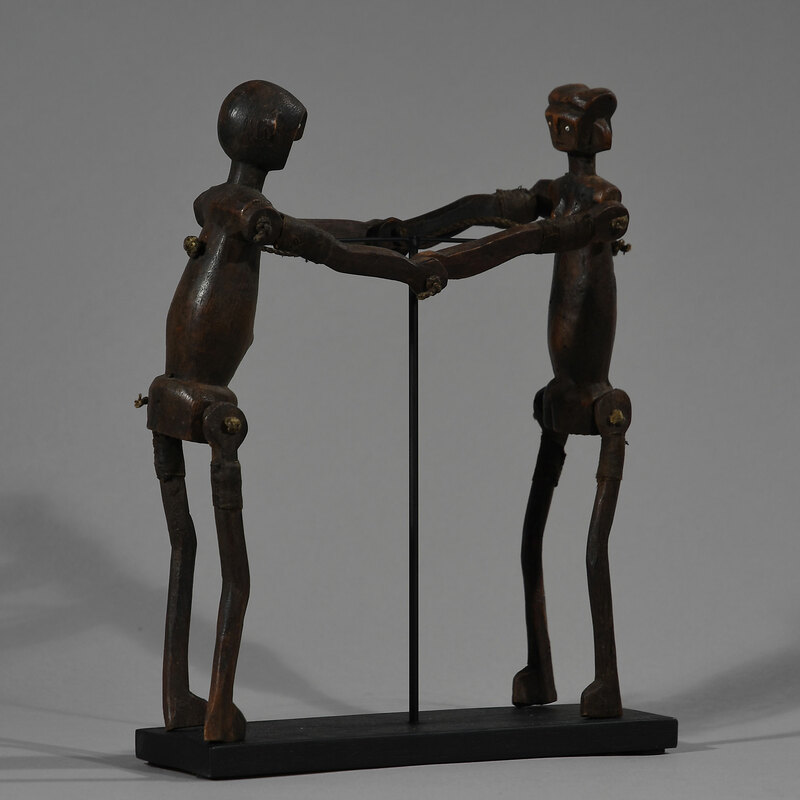 Figures like these, depicting a male and female figure, were given as wedding gifts. 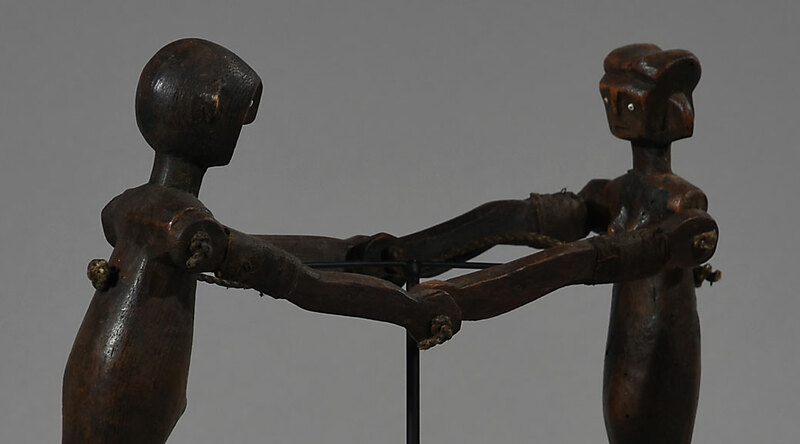 They were also used in funeral ceremonies, but the figures used in those ceremonies were single figures. 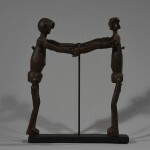 The two finely executed male and female doll figurines in the form of puppets have eyes of glass beads. 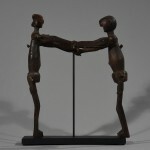 It is believed that the string (or the rod) connecting the pair represent a (wedding and spiritual) bond that can only be broken in death. 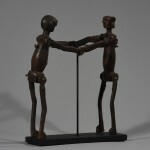 This Marionette couple shows that it was used in connection with various ceremonies, that clearly have left marks and a rich patina. The combination of immensely age, the marks, scratches and a few cracks provides a specific strength and makes it an excellent decorative object. The Nyamwezi people whose name means either ‘Men of the West’ or ‘Men of the Moon’, are the largest ethnic agrarian group living in noth-central Tanzania. Socially, they are organised into villages, which correspond into small chiefdoms, and each chief is responsible for the material wealth of the village, while the spiritual welfare is governed by the sorcerer. Ancestors and chiefs have been of considerable importance in the belief system and social structure of the Nyamwezi. 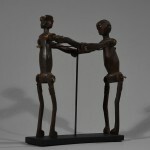 Consequently, most of their art relates to these themes: theirs is one of the richest art traditions in Tanzania. Nyamwezi carvers are famous for their figures that are usually carved out of a dark, heavy wood with a shiny surface and have strongly elongated features (used in water divination ceremonies). 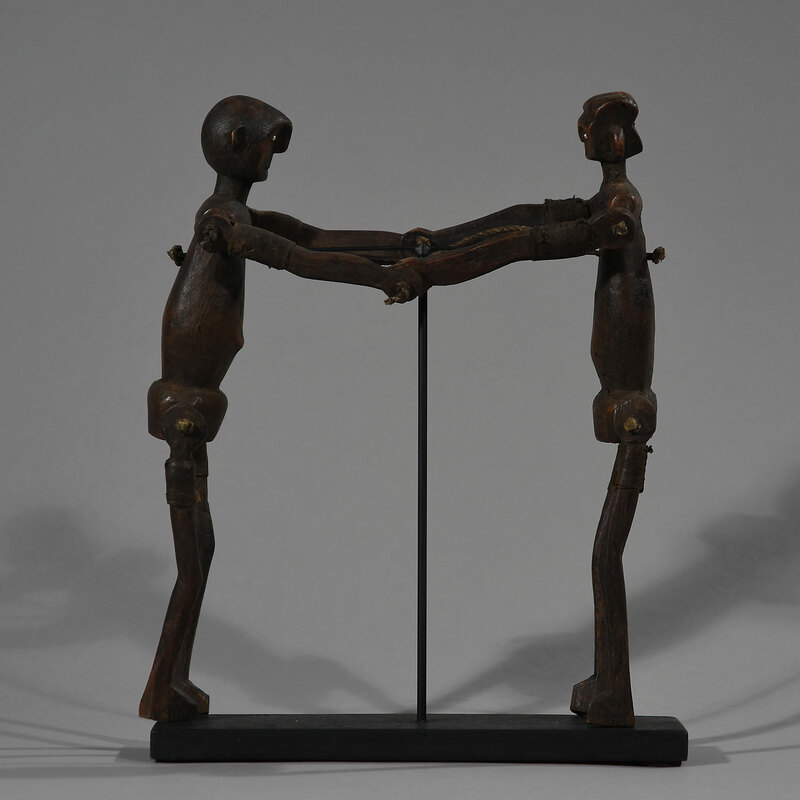 Since the 1950s the slim figures were displayed by Nyamwezi dance troupes to enhance the visual impact of their performances.